Flipkart will become Walmart today: Is that really good news for India? Amazon and Flipkart are at it again. The giants are staking claim to leadership in India’s e-commerce market as the festive sale came to an end on Monday. While the Walmart-backed firm said it cornered 70 per cent of sales during the festive period, of about 25 days, Amazon said more than half the country’s online shoppers chose to buy from it during this period. Neither company gave the value of the products, or gross merchandise value, they sold during the festive sales, which started on October 10. Flipkart says it hit a new record during its five-day-long BigBillionDays (BBD) sale and managed to double that number in the subsequent 20-odd days. The year 2018 might go down in history books as a game changer for India’s e-commerce industry — Walmart picked up a majority stake in Flipkart and rival Amazon going on a shopping spree for offline retailers. Ravichandran said Flipkart maintained its leadership with a 70 per cent market share through the festive period while all other players, including its own Myntra and Jabong, made up the remaining 30 per cent. Even during the festive sales last year, Flipkart had claimed to have captured the same market share. Amazon’s country manager, Amit Agarwal, hit back, saying there was no scientific basis to the data cited by rivals. He cited the Kanter IMRB data, which placed Amazon India as the shopping destination that saw the highest number of transactions and was also the most visited shopping website during the festive period. For Amazon, the sale wasn’t just about driving high-value transactions by offering discounts, but it was also meant to help acquire the next 100 million customers. 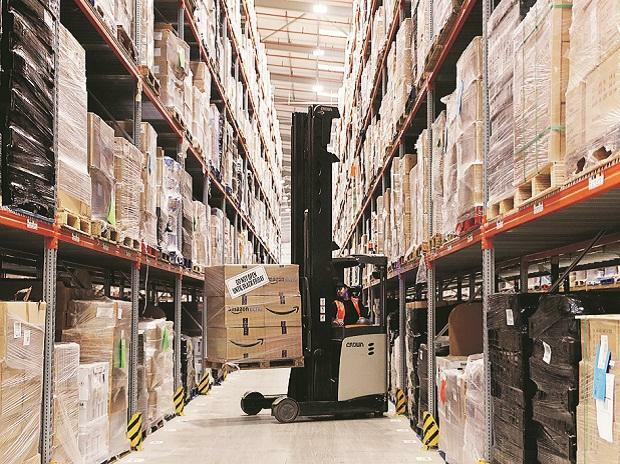 Amazon India said it saw orders coming from 99.3 per cent pin codes, and 89 per cent of all new customers who came to its platform were from smaller towns. “The Great Indian Festival is not only our biggest festival but it is also the most important season to acquire the next 100 million customers and convert our existing customers into Prime members. The first wave was the biggest for us,” said Agarwal. Smartphones, which drive the bulk of the GMV on e-commerce, continued to be big even this festive period, despite both retailers pushing other categories. Flipkart said while 50 per cent of the GMV during the sale was driven by smartphones, the fashion category drove over 50 per cent of all the transactions. Amazon, too, said that the smartphone was its largest category. The company called out successes such as Xiaomi, which saw 2.2 times growth in sales, and OnePlus, which retained its position as India’s leading premium smartphone brand, thanks to its success during Amazon’s sale.